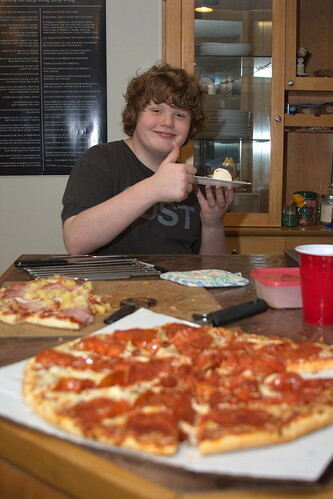 Pizza, ice cream, and a big thumbs up, a photo by The Bacher Family on Flickr. I took this photo at the birthday party of a good friend. Photo of the day: Happy 4th of July!